The Best Cardmaking blogs from thousands of top Cardmaking blogs in our index using search and social metrics. Data will be refreshed once a week.Also check out Top Card Making Youtube Channels list for Top videos on Card Making. 2.22 Stampin Pretty | Sharing the art of simple & pretty cards. 2.46 Sandi MacIver - Papercraft Artist. Cardmaking newsletter is a comprehensive summary of the day's most important blog posts and news articles from the best Cardmaking websites on the web, and delivered to your email inbox each morning. To subscribe, simply provide us with your email address. Salt Lake City, Utah About Blog K Werner Design Blog was created by Kristina Werner in August 2006. It is a home to weekly card videos, and the holiday card series. Follow to find creative ideas on card making. Facebook fans 59,364. Twitter followers 15,228. Richmond, CA About Blog Hero Arts is a stamp and paper craft company in California that creates all stamps designs, manufacture all stamps and hand-cut rubber stamps.Follow to find ideas on stamping, cardmaking scrapbooking and more. Facebook fans 39,895. Twitter followers 24,719. Mumbai, India About Blog Where craft unfolds... This is one of the most popular Youtube channel on Card Making. Follow this channel to find step by step video tutorials on cardmaking. Facebook fans 2,903. Twitter followers 141. 87 UK Stores About Blog The Hobbycraft Blog is the place to be inspired about craft. Whether you’re new to crafting and want some advice, a busy mum looking for a school project, or a cross stitch expert seeking new ideas, our page is here to help. Facebook fans 289,117. Twitter followers 33,521. San Francisco, CA About Blog For anyone interested in cardmaking, we discuss everything to do with making greeting cards. Follow to find ideas and tips shared by people across the world. Facebook fans 1,092,330. Twitter followers 475,877. About Blog The aim is to make paper crafting enjoyable and easy through teaching through digital training videos, sharing great Stampin' Up! card ideas, providing stamping techniques, tips and/or tutorials. Facebook fans 1,337. Twitter followers 57. Canada About Blog A blog by AmyR that's all about stamping, cardmaking and papercrafting with lots of photos, info and video tutorials. Facebook fans 10,741. Twitter followers 1,525. Massachusetts, US About Blog Stampin' Up Demonstrator, Tami White, teaches paper crafting projects, featuring Stampin Up rubber stamping products, including card-making. Follow us to find crafting and project ideas on cardmaking. Facebook fans 40,090. Twitter followers 3,036. California About Blog LawnFawn is a crafting supply company that specializes in cute, fun, & quirky photopolymer clear stamps, paper, stickers and twine. Follow us to find videos on crafty card making. Facebook fans 35,837. Twitter followers 15,509. About Blog Connie is known for her original Flash Card series and Box Maker Shim. She enjoys every aspect of paper crafting but always wants to keep it simple. Her goal is to share beautiful things with working women who have very little time to create stamped art. She wants to share ideas that are quick and easy but carry a big wow factor. Facebook fans 2,883. Twitter followers 134. About Blog Dawn Griffith is an Independent Stampin' Up Demonstrator sharing her love for stamping. Follow to find creative ideas for cardmaking. Facebook fans 11,124. Twitter followers 3,263. Boulder, Colorado About Blog The Postman's Knock is a resource for illustration, design, and calligraphy inspiration. It's a place to learn and stimulate your cardmaking creativity. Facebook fans 18,966. Twitter followers 4,042. About Blog CraftGossip has got news, reviews and ideas from the craft world in different categories like sewing, knitting, crochet, quilting, lesson plans, needlework, bath and body and heaps more. Follow the blog to find stamping ideas. Facebook fans 372,094. Twitter followers n/a. About Blog Lori Whitlock is a product designer for the crafting and fabric industry. Follow the blog for more info and inspiring ideas on card making. Facebook fans 37,860. Twitter followers 2,667. About Blog A blog to learn how to make pop up cards, movable cards, mechanical cards, sliceforms, origamic architecture, kirigami, and unusual papercrafts. Facebook fans 4,974. Twitter followers 119. About Blog LovePaperCrafts.com is a scrapbooking blog featuring free SVG cut files, free printables and lots of techniques and tutorials showcasing how to use the latest scrapbooking products. Follow to make handmade greeting cards. Facebook fans 2,114. Twitter followers 77. Columbus, Ohio - USA About Blog Simon Says Stamp is striving to offer you the best online selection of Rubber Stamp, Altered Art, Scrapbooking, Artist Trading Card, Card Making and Paper Crafting products in the world. Follow to find ideas and videos on stamping. Facebook fans 58,916. Twitter followers 18,642. Uddevalla, Sweden About Blog MajaDesign create innovative, high quality and well designed paper for scrapbooking and crafts. Follow the blog to find designs that will inspire you to create great joyful creations. Facebook fans 11,852. Twitter followers 82. About Blog Artist, designer, papercrafter, instructor - all wrapped up in one! Visit the website for tutorials three or more times a week. Facebook fans 6,515. Twitter followers 120. Stockport, England About Blog CraftStash is a leading online store selling craft products such as dies, die-cutting machines, stamps, ink, card, embellishments, sewing patterns and more - everything you need for your card making and papercraft projects. Facebook fans 17,472. Twitter followers 66.
uk About Blog A blog featuring handmade card projects and step by step video tutorials on cardmaking. Facebook fans 3,593. Twitter followers 1,198. 22. Stampin Pretty | Sharing the art of simple & pretty cards. Tucson, AZ About Blog Learn how to create simple & pretty cards. Follow the blog to find daily card ideas, paper crafting tips, stamping videos & tutorials. Facebook fans 19,028. Twitter followers 2,444. Watertown, Wisconsin About Blog Fabulously fun and free stamping and scrapbooking techniques by Lyssa Griffin Zwolanek. If you love making things with your hands, you'll love Song of My Heart's easy and quick ideas for DIY card-making, home decor & more. Facebook fans 7,567. Twitter followers 54. UA About Blog All about cardmaking, stamping, die cutting and a bit of everything in between. Facebook fans 1,279. Twitter followers 262. Sussex, WI About Blog Find quick and simple project ideas. Learn different stamping techniques. View step-by-step tutorials. And, most of all, be inspired! Facebook fans 31,475. Twitter followers 44. About Blog Becca is a consummate crafter and lover of papercrafts. Follow the blog to find cardmaking, crafting & diecut tutorials. Facebook fans n/a. Twitter followers 292. Australia About Blog Darkroom Door designs, manufactures and distributes quality art rubber stamps and photographic paper craft products suitable for card making, scrapbooking, invitations, mixed media, collage and altered art. Facebook fans 4,745. Twitter followers 665. About Blog Karen is the founder and proud owner of Your Next Stamp.Follow the blog to find stamping ideas for making cards. Facebook fans 5,370. Twitter followers 192. Fort Wayne, IN About Blog Angie Leach is an Independent Stampin' Up! Demonstrator in Fort Wayne.She is a personal stamping coach and love sharing her enthusiasm for paper crafts.Follow to create cool cards and papercrafting projects using stamping ideas. Facebook fans 841. Twitter followers 25. North Carolina About Blog Stampin Up card ideas, videos, tutorials and more from Demonstrator Brandy Cox. Facebook fans 3,147. Twitter followers 190. The East Coast About Blog Find card making tutorials and projects on The Daily Marker. Facebook fans n/a. Twitter followers 1,369. Phoenix, Arizona About Blog At Spellbinders®, we share your desire to shape a beautiful life through creative expression. Follow to get inspiration and ideas ranging from cards, scrapbook pages, home-décor, fabric arts, mixed media and more. Facebook fans 78,911. Twitter followers 17,112. Leeds, West Yorkshire About Blog Craftwork Cards are an innovative, design-led manufacturer of the highest quality cardmaking and scrapbooking supplies.Follow the blog to find inspiring ideas & products to create beautiful handmade greeting cards. Facebook fans 7,577. Twitter followers 5,418. Northern California About Blog Website about paper crafting, card making and photography. Follow the blog to find ideas on how to use stamping for effective cardmaking. Facebook fans 825. Twitter followers 330. Cheyenne WY About Blog Frenchie is an Independent Demonstrator for Stampin' Up helping you create from the heart. Follow the blog to find free tutorial, video, how to stamp/technique and all you have to know about paper crafting and stamping. Facebook fans 8,703. Twitter followers 65. Sydney, Australia About Blog Welcome to RejoicingCrafts where creativity is explored and ideas are shared. Follow the blog to learn making cards with various and awesome stuff such as stamps, inks, die cuts, paper punches and many more. Facebook fans 643. Twitter followers 177. About Blog Magical moments in the everyday life of a papercrafter. About Blog A blog where you will find ideas,tips,techniques and videos on cardmaking. Facebook fans 12,621. Twitter followers 1,337. About Blog Kimberly Van Diepen is an avid papercrafter who loves handmade cards, scrapbooking, Project Life, and home decor. Follow to get ideas to inspire your creativity. Facebook fans n/a. Twitter followers 1,102. Washington State, USA About Blog A blog on cardmaking by Lindy. Facebook fans 11,025. Twitter followers 473. About Blog Follow making greeting cards blog to learn new cardmaking techniques for birthday cards, baby cards, christmas cards, wedding cards and more. Facebook fans 5,563. Twitter followers n/a. About Blog A blog on handmade card creations by May Sukyong Park. Scramento, CA About Blog Clean & Simple Card making - Showing you different ways to create handmade cards without spending hours making them. Facebook fans 837. Twitter followers 84. Indiana About Blog Melissa Stout is an Independent Stampin' Up! demonstrator. The Stamp Doc blog features a variety of papercrafts, tutorials, samples, and videos. Facebook fans 995. Twitter followers 50. United States About Blog Blog featuring great ideas and inspiration for paper crafting. Weekly challenges for crafters of all types. SVG Type Files and Digital Stamp Weekly Freebies! Facebook fans n/a. Twitter followers 69. 46. Sandi MacIver - Papercraft Artist. Prince Albert, Saskatchewan About Blog I'm a full time Stampin Up Demonstrator and share fun projects and techniques to help you learn and expend your stamping experience. I also sell all Stampin Up Related products through my online store, provide you with excellent customer service, loyalty rewards and fun monthly project videos. Facebook fans 4,315. Twitter followers 145. Wisconsin About Blog Jessica Taylor is a Stampin' Up! Demonstrator since 1999 sharing card making ideas, stamping techniques & tips, plus much more to inspire your creativity. Facebook fans 75,423. Twitter followers 1,662. About Blog A blog where you will find everything related to cardmaking. Facebook fans n/a. Twitter followers 68. About Blog Heather's mission in making cards is to support the building of houses for widows and orphans in Burundi, Africa through a ministry called Sister Connection. Follow the blog to find ideas that can help you inspire your creativity. Facebook fans 761. Twitter followers n/a. About Blog Constance "Connie" Collins, is a Stampin' Up! demonstrator with over fifteen years of experience in the stamping and papercrafting industry. With my blog I am constantly striving to bring you creative rubber stamping and paper crafting ideas. Facebook fans 929. Twitter followers n/a. Riverhead, NY About Blog Quick and easy paper crafting projects and techniques. My daily blog offers paper crafting tips, tricks and tutorials! Facebook fans 574. Twitter followers 135. India About Blog Papers, inks and stamps...these are the few of my favourite things! I am a wife & a mother of a wonderful son. Paper crafting is my way to Happiness!!! Facebook fans 3,122. Twitter followers n/a. About Blog Carol Held loves to create cards, mixed media, journals, painting, and coloring. Bundaberg About Blog Here you will find Stampin' Up creations ranging from stamp club cards and projects to custom invitations and paper crafts for event and functions. Facebook fans 1,145. Twitter followers 108. About Blog Find ideas and tips for effective cardmaking. Round Rock, TX About Blog Here you will get to learn DIY Card Making, Scrapbooking and other Paper Crafts. Facebook fans 71,397. Twitter followers 181. About Blog Fun and whimsical stamps that are perfect for all your card making, scrapbooking and crafting projects! We design and make high quality photopolymer stamps. These are made in India and priced economically to fit our pockets. They have a microscopically porous surface which gives superior ink transfer with all types of ink! Facebook fans 1,856. Twitter followers 15. About Blog Here you will find different techniques and ideas for making beautiful cards. About Blog Kris is an Independent Stampin' Up! Demonstrator. Her goal is to inspire you to enjoy creating your own one-of-a-kind papercraft gifts and cards. Facebook fans 249. Twitter followers n/a. Redditch, England About Blog Here you will find everything related to cards. USA About Blog Shari Carroll is the Creative Director/Product Manager for Simon Says Stamp. Follow to find various designs of stamps and paper arts. Facebook fans n/a. Twitter followers 2,104. About Blog A blog by Connie Babbert providing detailed information on how to make creative cards. West Berlin, NJ About Blog Buttons Galore is the leading retailer of bulk and decorative buttons. Follow the blog to find creative inspirations for cardmaking using buttons. Facebook fans 6,840. Twitter followers 775. New Brunswick About Blog Tina Zinck is an independent demonstrator with Stampin' Up! and enjoys creating projects and videos. Follow the blog to find ideas on stamping, crafting and much more. Facebook fans 653. Twitter followers 63. Oregon About Blog A blog where you will find artwork and designs for making beautiful cards. Facebook fans 3,710. Twitter followers n/a. About Blog A blog giving ideas to make clean, simple, and beautiful cards and paper crafts. Facebook fans 774. Twitter followers n/a. Minnesota About Blog Cardmaking by Kay Kalthoff. Facebook fans 1,185. Twitter followers 174. Hastings, MN About Blog As an Independant Stampin' Up! demonstrator, BJ Peters loves to share her passion for creativity and fun by creating scrapbook pages, cards, home decor and giftables. Follow her blog to get ideas to inspire your creativity in cardmaking. Facebook fans n/a. Twitter followers 98. New York About Blog Welcome to The Season, the official blog for The Ton! Stop by for some card inspiration from the incredible cards created by our talented design team. Facebook fans 2,956. Twitter followers 352. York About Blog Here you will find ideas on cardmaking for different occasions. Facebook fans n/a. Twitter followers 196. About Blog Mary Brown has been a Stampin’ Up! demonstrator since September 1999. Follow the blog to find detailed information on cardmaking and stamping. Utah About Blog Welcome to the Freckled Fawn Blog.Here you will find ideas on card making projects. Facebook fans 9,868. Twitter followers 250. Scotland About Blog A cardmaking blog providing ideas and tips to make effective handmade cards. Facebook fans n/a. Twitter followers 547. About Blog Blog by vicky wright. I share my love of Stamping, Card Making, Classes, Memories & More Scrapbooking and Paper Crafting through Samples, Tips & Ideas and Tutorials. Classes held monthly at different times & days. About Blog Olga is a passionate paper crafter and love everything about home and garden. Follow to find step by step tutorials on card making and paper arts focusing on die cutting. Facebook fans 135. Twitter followers n/a. About Blog Here you will find lots of tutorials on making cards, mini albums and scrapbook layouts. Follow to make creative cards for family and friends. Facebook fans 2,379. Twitter followers n/a. About Blog Here you will find unique handmade creations and craft tutorials. Facebook fans 559. Twitter followers n/a. About Blog Angela Pyjas show how-to video's on stamping, card making and all kinds of paper crafts. Facebook fans 330. Twitter followers n/a. About Blog A blog where you will find ideas and tips on how to make birthday cards,spring cards,thank you cards, halloween cards and lots more. Facebook fans 38. Twitter followers n/a. About Blog Michelle Long is an independent Stampin' Up! Demonstrator from Eugene, Oregon who specializes in original handmade card design, craft supply sales, and teaching the art of paper crafting to others. About Blog A Card making blog by Michele Kovack. Facebook fans n/a. Twitter followers 417. Basingstoke, England About Blog Card Making and Papercraft creative coaches based in Basingstoke UK. For project ideas, inspirations, classes, events and Stampin' Up! Facebook fans 651. Twitter followers 147. About Blog Find innovative ideas and tips for effective cardmaking. About Blog A blog designed for newer and less experienced cardmakers and bloggers. Follow to find how to's and tutorials on card making. About Blog The Stamping Shed blog is about the Katy Harrison's love for papercraft and features projects,ideas and inspirations using Stampin' Up products. Belgium About Blog Laura Sterckx has been a lifelong crafter and have been making cards for 6 years.Follow us to know everything about card making. Facebook fans 1,730. Twitter followers 525. Missouri About Blog Find ideas on paper crafting, craft hauls, craft room organization, and tutorials. Facebook fans 425. Twitter followers 53. About Blog I share the amazing art of rubber stamping through handmade cards and creative projects. Facebook fans 204. Twitter followers 75. About Blog The Daring Cardmakers Blog features a design team of card-makers from the UK and mainland Europe, whose aim is to inspire others by launching a new challenge every Friday. Facebook fans 443. Twitter followers n/a. About Blog A blog where you will find awesome ideas and tips on card making. India About Blog A place to play fun card making challenges! Facebook fans 869. Twitter followers 50. About Blog A blog on Cardmaking by Ruth. About Blog A paper craft and card making blog by Sarita. About Blog A blog about crafting, card making and papercraft. About Blog CdeBaca Crafts Blog is about card making and gift tag tutorials. It features a beautiful gallery of handmade products such as gift boxes and cards. About Blog Find ideas and tips to make cards for different occasions. Facebook fans 61. Twitter followers n/a. About Blog Bonnie became an Independent Stampin' Up! Demonstrator in 2008. Follow the blog to find inspiration to make interesting greeting cards. About Blog Tiffany Solorio shares how-to videos on cardmaking, art journal pages, mixed media projects and more. Follow to learn everything about creative cardmaking. Cambridge, ON Canada About Blog Leena Girsa is a full-time music department head, wife, mom and stamping addict. Follow her blog to get innovative card ideas to make interesting greeting cards. Facebook fans 163. Twitter followers 93. About Blog Here you will find techniques, tutorials and overviews of how to use different crafting products for all your creative needs, including cardmaking and more. Facebook fans 269. Twitter followers 2,374. NYC About Blog A software developer by day, crafter and blogger by night. Card making and stamping lover, Svitlana Shayevich writes blogs about handmade cards, cardmaking, paper crafts, stamping, embossing and cardmaking techniques. Facebook fans 42. Twitter followers 30. About Blog A blog on cardmaking by Julia Altermann. Facebook fans 1,549. Twitter followers 197. About Blog This is a blog of how I make art and craft projects. I was created so I create. I have tutorials, 3 challenges a month you tube videos, and giveaways. I use cricut,cricut expression cricut expression 2, cricut imagine and cricut explore, I use a silhouette cameo, Svg cuts glue and you name it anything that has to do with Art and crafting I use it. Facebook fans 288. Twitter followers n/a. New Zealand About Blog Find Card Making and Paper Craft tutorials. About Blog Find DIY, how to make greeting cards, card making ideas, tutorials, paper crafts, origami, paper folding, handmade, scrapbook, crafts ideas, arts, gift ideas all this and more on the channel Idea Of The Day. About Blog This channel is all about stamping up card ideas, stamping techniques, and quick and easy hand made card ideas. About Blog Stampin’ Up! UK Independent Demonstrator Valerie Moody sharing Stampin' Up! Cards, Ideas & Tutorials. Facebook fans 540. Twitter followers n/a. United States About Blog Inspired by Stamping is a boutique online craft store. Follow the channel to find in-depth video tutorials that will help you create beautiful cards. Facebook fans 4,388. Twitter followers 528. About Blog Robin Feicht has been teaching creative Paper Crafts, Card Making, DIY Home Decor and Scrapbooking since 2005. Follow the channel to find crafting videos and tutorials to inspire your creativity. Facebook fans 337. Twitter followers n/a. About Blog LindaBauwin is an Independent Demonstrator for Stampin' Up! helping you create from the heart. The mission is to help you find your creative side. Facebook fans 1,571. Twitter followers n/a. Vancouver, BC About Blog Alison is a Canadian Independent Demonstrator with Stampin' Up. He teaches people how to make unique cards, scrapbooks and papercrafting projects using rubber stamps and accessories. Facebook fans 569. Twitter followers 109. About Blog Crafts Unleashed is your one-stop shop for DIY craft ideas, fun crafts to inspire you and more. We have all the tips you need to get started crafting. Facebook fans 82,623. Twitter followers 4,860. United Kingdom About Blog At Creative Rox we like to encourage creativity of all kinds, whether you are a beginner or seasoned maker we have something to inspire everybody. Facebook fans 1,716. Twitter followers 406. Preston, England About Blog At Hunkydory Crafts, our promise is to continue designing and manufacturing papercrafts to the highest standard, helping you to make cards that will be truly cherished by the ones you love. Follow us to find creative card making tutorials. Facebook fans 47,240. Twitter followers 9,056. Trumbull, CT About Blog Linda resides in Trumbull, CT (06611) and owns her business as an Independent Stampin Up Demonstrator. Follow the blog to learn to create beautiful paper crafting, scrapbooking and rubber stamping project and cards. Facebook fans 2,112. Twitter followers 122. About Blog A blog by Andrea for effective cardmaking. Facebook fans 130. Twitter followers n/a. About - Red Ted Art is your one stop shop for crafts - be it to find craft activities for kids or tutorials for adults. Fun, easy and "do-able" crafts for kids and grown ups. The aim of the blog is to inspire you to try out something new and help you explore great artists with kids. About - The Hobbycraft Blog is the place to be inspired about craft. Whether you’re new to crafting and want some advice, a busy mum looking for a school project, or a cross stitch expert seeking new ideas, our page is here to help. About - The Daring Cardmakers Blog features a design team of card-makers from the UK and mainland Europe, whose aim is to inspire others by launching a new challenge every Friday. 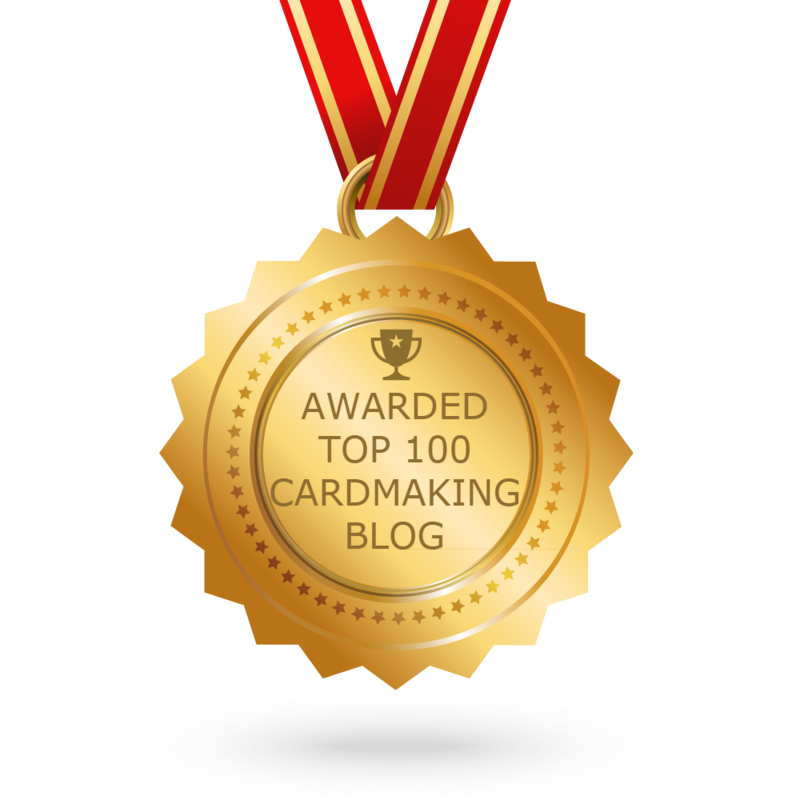 CONGRATULATIONS to every blogger that has made this Top Cardmaking Blogs list! This is the most comprehensive list of best Cardmaking blogs on the internet and I’m honoured to have you as part of this! I personally give you a high-five and want to thank you for your contribution to this world.